Ok kids, it's story time. 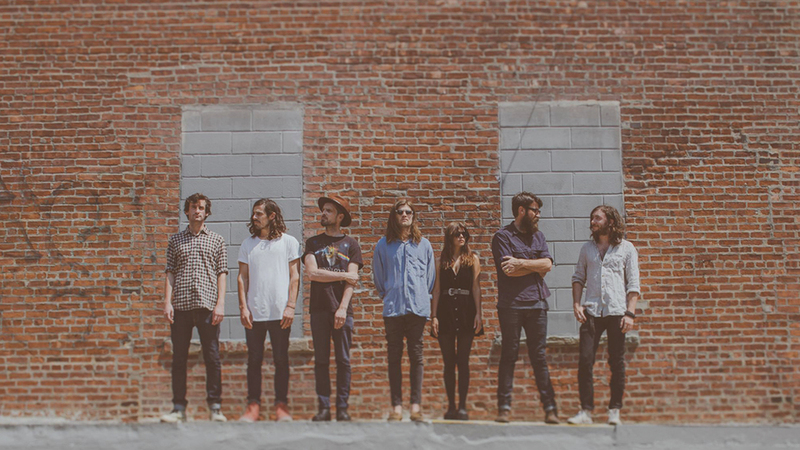 Last year at CMJ, we met Streets Of Laredo amidst a whirlwind week of music. This year, for SXSW, we almost booked them to play our showcase. Unfortunately that didn't quite work out due to schedule clashes, but we went along and caught one of their shows anyway, and ended up naming them as one of our highlights of SXSW for our feature on the Free People blog. After seeing them play that night (supporting the Kaiser Chiefs) in New York, and hanging out with Tom, his girlfriend and my aunt and uncle several days in a row, I can't help but feel like these guys (well Tom at least) are part of the family. This Brooklyn-based 5-piece are a family band of sorts – three of the members bearing the Gibson last name. And this song is based on, and dedicated to a member of the family - their grandfather. Singer Dan Gibson explained it best: "Both Dave & I were very close with our grandfather on our mother's side. He had a super tough life, but was always very encouraging & supportive to us. After he died we found a memoir he’d written called “Tales of Long Ago” - it turned out he’s always dreamed of being a published writer but never realized that dream. His writing’s really moved us and we thought if we wrote a song based on his words, in a round about way, he’d finally be published - it’s a slow train but we’ll get there. "